If you are looking for an articulate and knowledgeable Compère for your concert or event then Fergus can help. He will work closely with event organisers to produce a script that is as serious or humorous as the situation demands and he is able to think on his feet to adapt to nuances of live performance. He is a regular on the Burns Supper circuit and is particularly known for his energetic and mesmerising recital of Burns best known poem Tam O’ Shanter. His Immortal Memory is thought-provoking and entertaining and uses all of his knowledge of Burns and his music to make to appreciate a different side of the man. 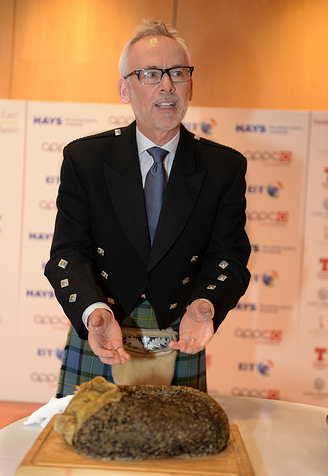 If you have an international flavour to your event he can deliver the Address to the Haggis in three languages and regularly does so at prestigious events all over Europe. And he is more than happy to pick up a set of pipes and help out with the Ceilidh that inevitably follows the more formal part of the evening. If you are looking for an after dinner speaker then Fergus’ experiences with money, music and broadcasting are an ideal mix for a speech that will combine anecdote with reminiscence, and will all be done with wit and eloquence. Fergus delivered a fantastic talk on financial matters to the Scottish Criminal Bar Association at our recent Annual Conference. Not only was it informative, it was delivered with great enthusiasm. Fergus is incredibly personable and makes even the most complex matters sound straightforward. It is obvious that he has a real desire to assist others with his extensive knowledge. We had many positive compliments following Fergus’s presentation with a number of Advocates seeking further assistance from him. We look forward to him returning in the future for more helpful and entertaining advice. As a passionate advocate for financial capability it has been a pleasure to work with Fergus over a number of years on Lloyds Banking Group’s ‘Money for Life Challenge’, a programme focussed on encouraging young people to interact creatively with their communities to raise awareness and encourage good practice in making good use of their money. 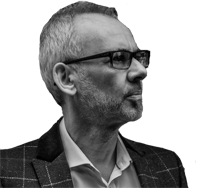 Fergus has supported the Challenge as both as a panel judge and a keynote speaker, and young people and guests alike have benefited from his insight and significant experience. 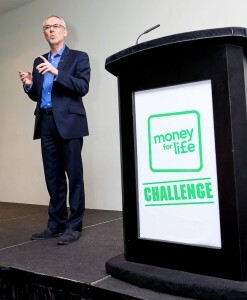 Fergus remains a valued supporter of the Money for life programme.